Sunday's episode of Koffee with Karan had singers Diljit Dosanjh and Badshah mark their debut on the couch. Host Karan Johar made sure their first appearance on the talk show was a memorable one with an epic rapid fire round and a customised 'lassi quiz'. 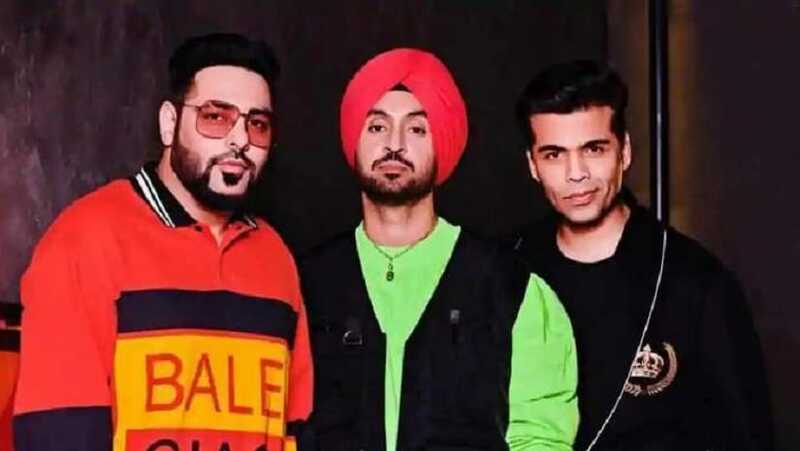 The episode saw the rappers getting candid about their first live performance — while for Diljit it was a small gig in his village, Badshah's first live performance was at a gay club, which he had no idea about till he finished the show. Diljit, who is an acclaimed actor and singer, remembered forgetting the lyrics of the song during that performance but sounded relieved that it happened in his own village, in front of his own people. Diljit's fascination with Kylie Jenner is well-known across social media. His messages keep popping up on Kylie's pictures and were bound to be a subject of discussion on the episode. Karan flashed screenshots of his comments to the beauty baron and asked him to explain the motive behind each one of them. Similarly, Badshah was put in a spot by the host when he was asked about his real name: Aditya Prateek Singh Sisodia. He also opened up about his engineering days and the time when he realised he wanted to be a performer. For Diljit, the realisation came much earlier. The two also opened up about meeting their idols and building a relationship with them. For Badshah, meeting Shah Rukh Khan and getting served biryani by him is still a memory he cherishes. For Diljit, the highlight of his career is when he met Salman Khan on the sets of a film and impressed him with his endearing personality. The most entertaining part of the episode was the quiz, tailored to suit the guests' personal style. Karan pulled out high-end clothing and accessories from his Louis Vuitton suitcase and asked the musicians to guess the brand. Well-versed with his Gucci and Balenciaga, Diljit won the quiz but Badshah took the coveted Koffee hamper with hi razor-sharp wit.